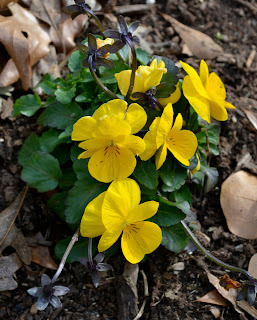 ...I thought I'd share a few photos of my blooming babies to help reassure you, too, that winter can't last forever.
. I've promised myself that after I finish planting seeds for 40 varieties of heirloom peppers, I'm going to celebrate by virtually visiting the blooms of these lovely garden writers. So, here are a few of my babies, working hard to add a little life to the dreary garden. Hellebores... is there anything prettier in the winter? 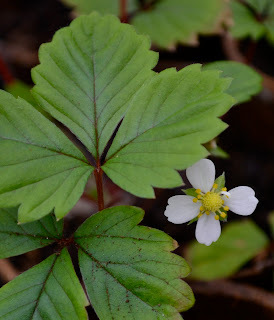 OK, I'll admit—I don't have fraise des bois blooming outside yet. Still, this greenhouse photo gives me hope that soon, soon, we'll be harvesting tiny delicacies in the garden...ahhh. Have you visited your garden lately? You might find a blooming surprise.